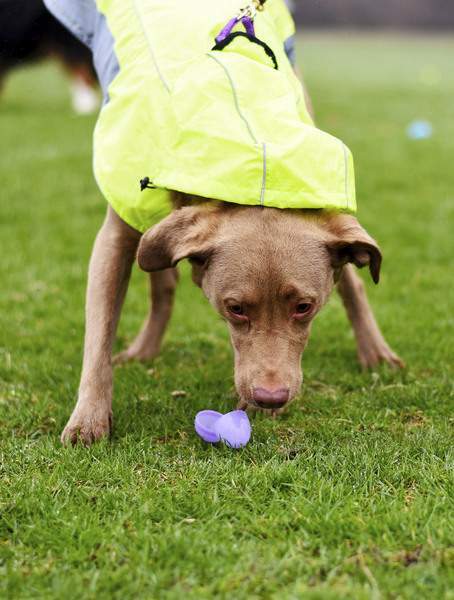 Katie Fyfe | The Journal Gazette Gracie, a 3-year-old Labrador retriever mix, hunts for some bones at the 11th annual Easter Bone Hunt at Franke Park on Sunday. Katie Fyfe | The Journal Gazette Pickles, an 8-year-old English bulldog, comes prepared in his bunny ears for pictures with the Easter bunny during the 11th annual Easter Bone Hunt at Franke Park on Sunday. 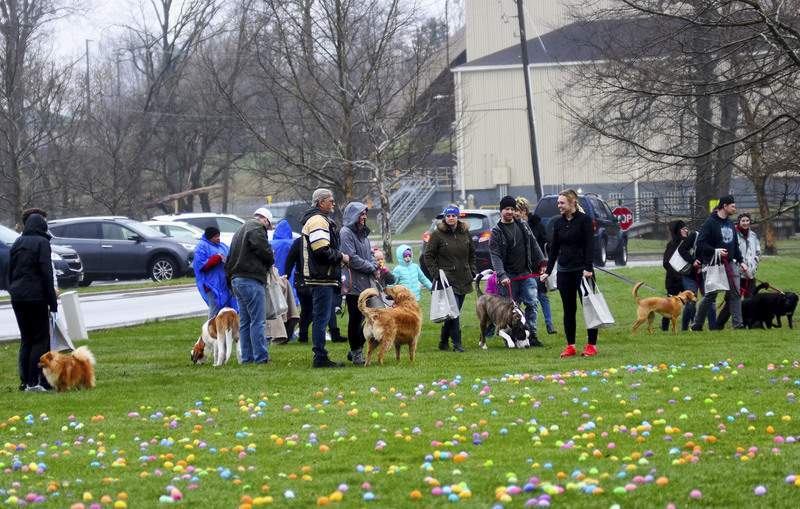 Katie Fyfe | The Journal Gazette Dogs and their owners line up, ready to find treats and prizes in eggs laid out for the 11th annual Easter Bone Hunt at Franke Park on Sunday. 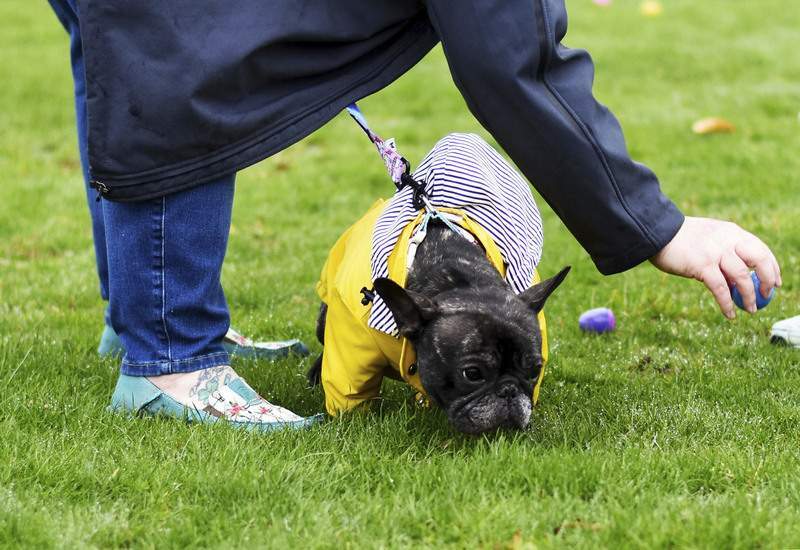 Katie Fyfe | The Journal Gazette Khaleesi, a 1-year-old French bulldog, hunts for some bones at the 11th annual Easter Bone Hunt at Franke Park on Sunday. 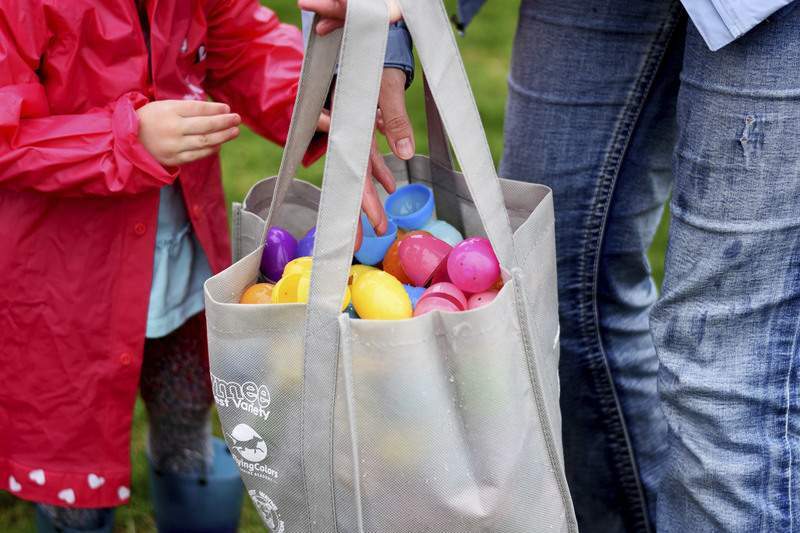 Katie Fyfe | The Journal Gazette Families help collect eggs for their pups during the 11th annual Easter Bone Hunt at Franke Park on Sunday. 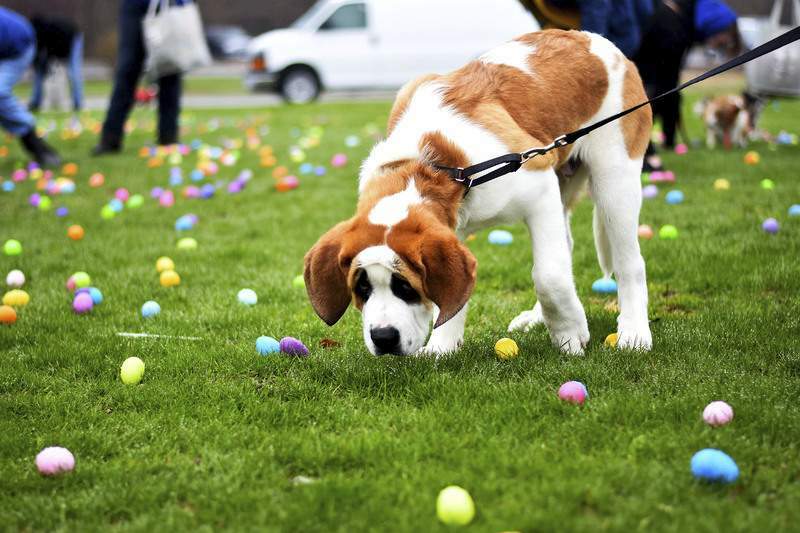 Katie Fyfe | The Journal Gazette Duke, a 4-month-old St. Bernard, hunts for some bones at the Eleventh Annual Easter Bone Hunt at Franke Park on Sunday. 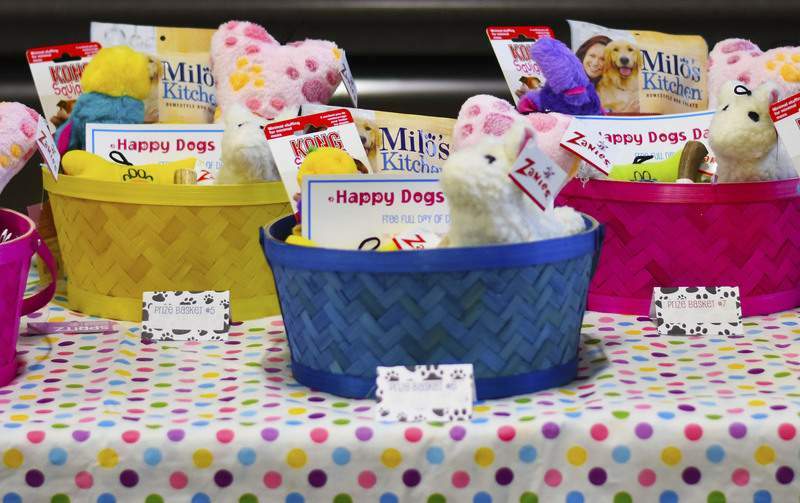 Katie Fyfe | The Journal Gazette Prize baskets are set out for lucky pups who find prize eggs Sunday at the Easter Bone Hunt at Franke Park. Duke, a 4-month-old Saint Bernard, hunts for bones Sunday. Along with the hunt, the event also featured games, pet-friendly vendors and crafts. 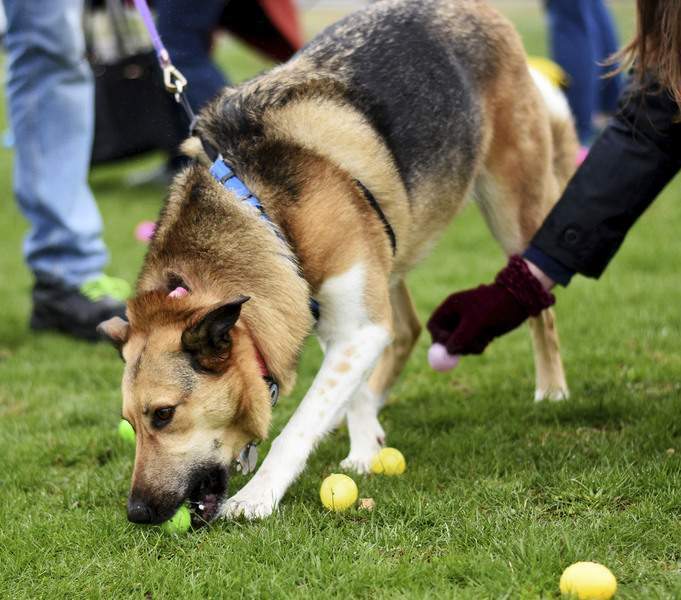 Katie Fyfe | The Journal Gazette Stella, a 4-year-old heeler mix, cracks open an egg and enjoys the treat hidden inside during the 11th annual Easter Bone Hunt at Franke Park on Sunday. 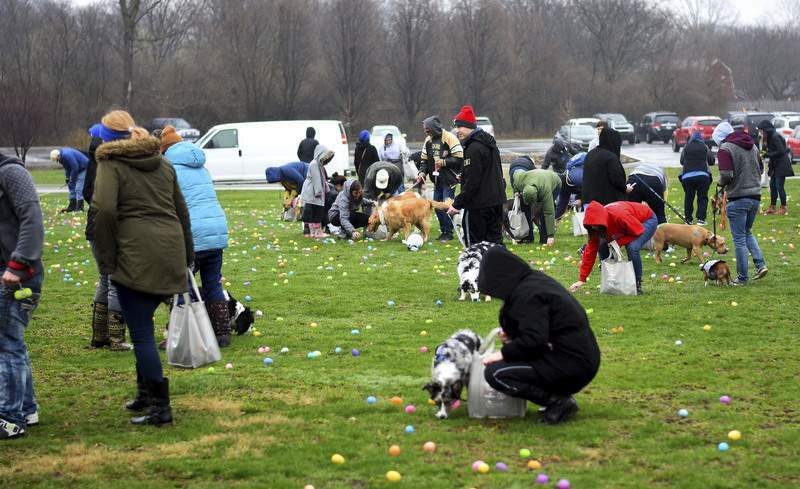 Photos by Katie Fyfe | The Journal Gazette The rain and cold weather didn’t scare off dogs and their owners from taking part in the 11th annual Easter Bone Hunt, hosted Happy Dogs Daycare and Fort Wayne Animal Care and Control, Sunday at Franke Park on Sunday. 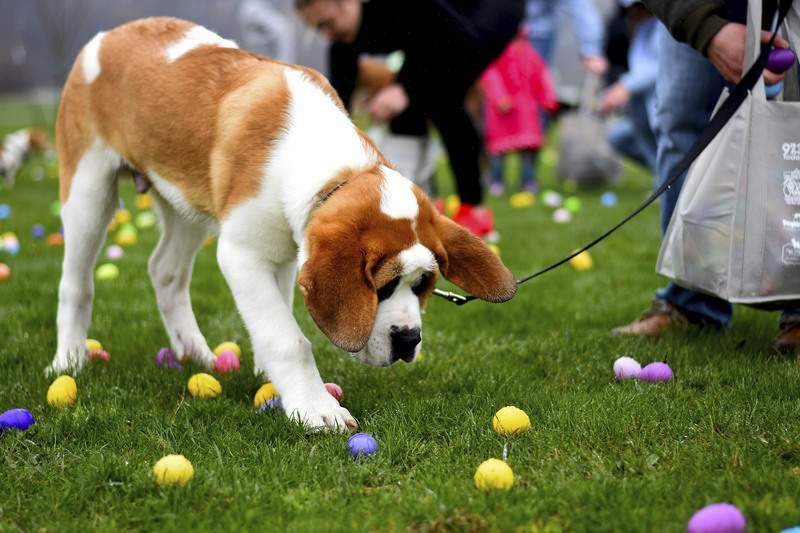 Happy Dogs Daycare and Fort Wayne Animal Care & Control host the 11th annual Easter Bone Hunt at Franke Park on Sunday. 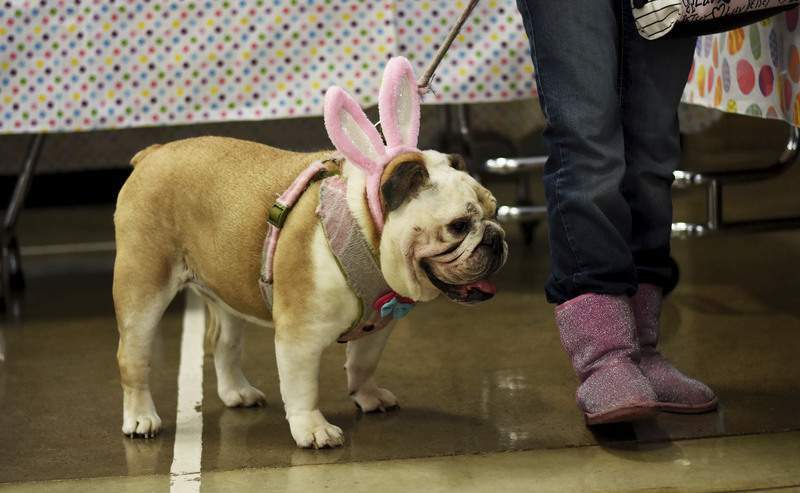 The event included games for the dogs, pet-friendly vendors, crafts, tattoos and pictures with the Easter bunny.